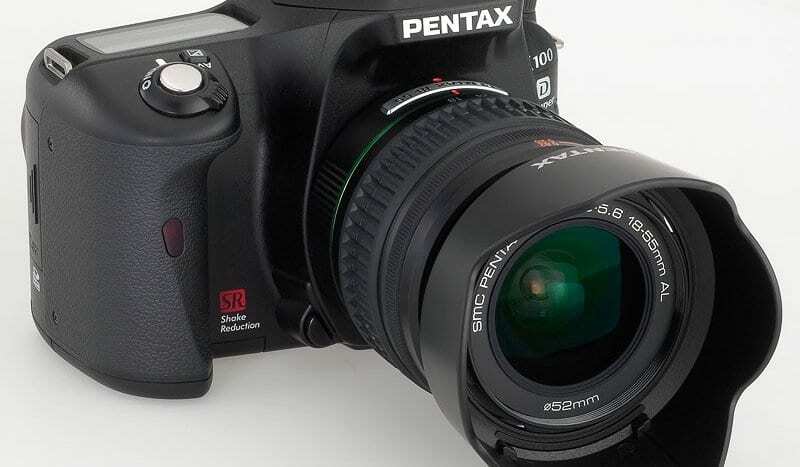 The low-priced Pentax K100D Super is the successor to the popular entry-level K100D and K110D models. 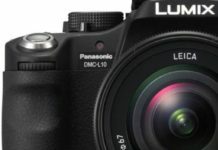 Is it worthy of being your first DSLR? The Pentax K100D Super is a marginal update to the popular 6-megapixel resolution K100D, adding anti-dust features, support for the new piezo-electronic SDM lenses and compatibility with the SDHC format for capacities in excess of 2GB. At just £330 including the well-made 18-55mm starter lens, the K100D Super is one of the most affordable DSLRs on the market. As well as replacing the original K100D, the new model also supercedes the slightly cheaper K110D, two models with confusingly similar looks and specifications. In spite of the upgrade, the K100D Super retains a somewhat lowly 6-megapixel resolution sensor, but that’s no different to the hugely popular Nikon D40. 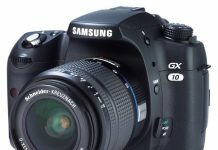 There’s a lot more to a camera than resolution though and the K100D Super packs a number of features that are usually to be found on much more expensive models. Like its direct predecessor, the K100D Super has an anti-shake system built-in into the body, meaning any lens attached becomes image stabilized. The maker claims slower shutter-speeds can be achieved of around 2-3.5 stops, depending on the lens. For all modern Pentax AF optics this is achieved automatically, but even older manual focus lenses can benefit, though you simply have to set the focal length using the displayed menu. From our tests using the kit lens, we achieved acceptable results at 1/15sec at 35mm (equivalent to 50mm on a 35mm camera), effectively two stops compensation. 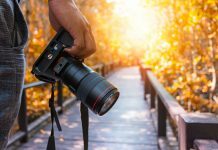 Even with a modest collection of lenses, it’s a feature that’s certainly worth having, potentially saving several hundred pounds, and helps keep future lens designs more compact and affordable. Another feature missing from rivals’ models is a pretty advanced AF system, boasting 11 detection points. 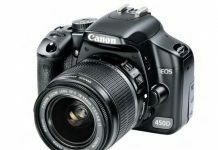 Compared to the 3-point array found on the D40 or the 7-point system of the Canon EOS 350D, the Pentax has the edge. Also interesting is the inclusion of an Auto Picture mode that has an uncanny ability to select a suitable scene-based exposure mode. 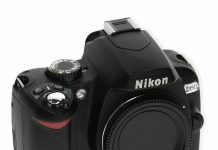 With a base setting of ISO 200 extending up to ISO 3200, there’s a wide range of sensor sensitivity, one whole stop above the Nikon D40. Although the D40 has an equivalent (H1) setting, it’s effectively an ISO boost, meaning there’s a chance images may look dark as a result. We wouldn’t suggest upgrading from the original offering, but one of the most significant features is the addition of the anti-dust system from the semi-pro K10D. 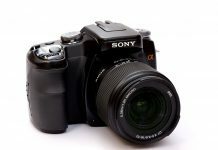 From our tests, it’s not as effective as the ultrasonic cleaning system adopted by Olympus, but it’s clearly another plus over the D40 or EOS 350D. In the hands the K100D Super is comparable in size to the diminutive D40, but at 200g heavier, at around 915g with the kit lens, the Pentax is pretty hefty. It’s not helped by the inclusion of two CR-V3 lithium disposables. These are reasonably lightweight and, providing around 730 shots, pretty long-lasting, though you will have to budget for replacements. At around £10 per battery this could prove costly over the long term. These can be swapped for 4xAA size batteries, and, while this choice of power may be handy in emergencies, you’ll need to budget for rechargeable types and a suitable charger. Nevertheless, in terms of build quality, the K100D Super easily matches its rivals, and even surpasses them in some instances. A durable-looking hinged door protecting the AV terminal and DC-in socket seems so much more appropriate than poorly designed rubber covers. Neither is there any creaking from ill-fitting panels and the adoption of a stainless-steel chassis makes the Pentax feel solidly made. 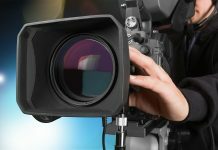 Unlike the majority of models in this price range, the K100D Super retains the handy top-plate LCD displaying the camera’s status and essential settings. As well as the Auto Picture mode option, a handy shooting mode dial offers the usual choices, including manual exposure and aperture-and-shutter-priority modes for photography buffs. 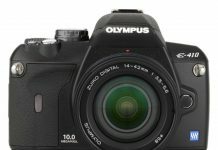 If the K100D Super can’t select the optimum Picture mode automatically it will operate in a normal program mode, and a small icon displayed in the viewfinder keeping the user informed is very welcome. In addition eight user selected scene modes may be chosen from the shooting mode dial and the Function (Fn) button to the rear. Handily, the same button is used to select most of the everyday settings including ISOs and white balance, amongst others. 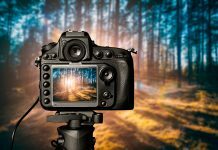 In addition to a 12-second self-timer, a two-second option with mirror lock-up is ideal for vibration-free use on a tripod. Another worthwhile addition is the Auto ISO option. 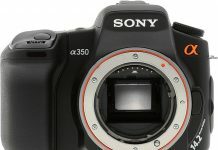 Unlike rival offerings, you can control the range selected, up to the maximum of ISO 3200 if need be. And noise levels are lower than 8-10MP offerings. Images are buttery smooth, and even ISO 3200 is usable at different times. We were also pretty impressed by the digital preview feature. There’s no live view, but you can scrutinize a preview for white balance or depth-of-field prior to capture. Held up to the eye, the Pentax doesn’t disappoint, and the viewfinder is reasonably large and clear, though not quite as bright as the D40. Focus operation is swift and accuracy is good in all but the most dimly lit interiors. Like rival models, the 2.5-inch screen displays realistic looking colour and reasonable levels of detail. We found the viewing angles generous and legibility was pretty good outdoors in bright light. As well as the usual choice of three JPEG settings and a Raw file option, the Pentax has a choice of two colour tones. The default delivers fairly bright colours but the other setting looks muted. There are image parameter settings allowing you to fine-tune saturation, sharpness and contrast but it lacks rivals’ more extensive choice of presets which let you capture a certain look. It also lacks the simultaneous Raw and JPEG capture option found on the D40, so it’s important to experiment if only shooting JPEGs. In spite of that, colours still seem a little flat compared with either the Nikon D40 or the EOS 350D. And resolution is noticeably lower than 8-10MP cameras in the labs, though in real world use this is unlikely to be an issue unless you intend to regularly print on larger paper than A4. Shot-to-shot times are brisk, but vary considerably with file size. From our tests, the Pentax achieved between 3-4fps using the smaller lower quality JPEG option, dropping to 2.5fps for the capacity of the memory card. Raw file capture isn’t quite so impressive, buffering half that of rival models – just three frames in total – at a tardy 2fps. While at first sight, this camera seems to be lagging behind more popular 10-megapixel offerings, there’s a lot more to the Pentax K100D Super than you may think. With the tardy Raw burst mode being the only real downside, the Pentax is arguably the best of the entry-level DSLRs and the competitive price only serves to make the K100D Super all the more attractive. Verdict: In spite some attractively priced 10-megapixel kits, the Pentax K100D Super easily impresses with its class-leading high ISO performance, anti-shake and anti-dust features.